John L. Redwine, Jr., age 77, a resident of Portland, passed away on Friday, November 30, 2018 at The Woodlands in Muncie. John was born on September 8, 1941, in Muncie, Indiana the son of John L. Redwine, Sr. and Avonelle (Reynolds) Redwine. He joined the U.S. Air Force in 1960 and served as an Air Traffic Controller until his honorable discharge in 1963. He then worked for Westinghouse in Muncie for 34 years. 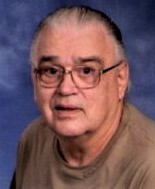 He was a member of the Collett Church of the Nazarene and volunteered for Jay County Special Olympics for over 20 years. John married Judy Rector on October 9, 1982. He was preceded in death by his parents and a sister, Mazol Redwine, a granddaughter, Marisa Kimble and a daughter-in-law, Leanne Bowen. Visitation will be held on Tuesday from 11 a.m. – 2 p.m. at Williamson-Spencer and Penrod Funeral Home in Portland. Funeral services will follow at 2 p.m. on Tuesday at the funeral home. Pastor Billy Stanton will officiate and burial will follow in Green Park Cemetery in Portland. The American Legion Post #211 of Portland will conduct military graveside rites.